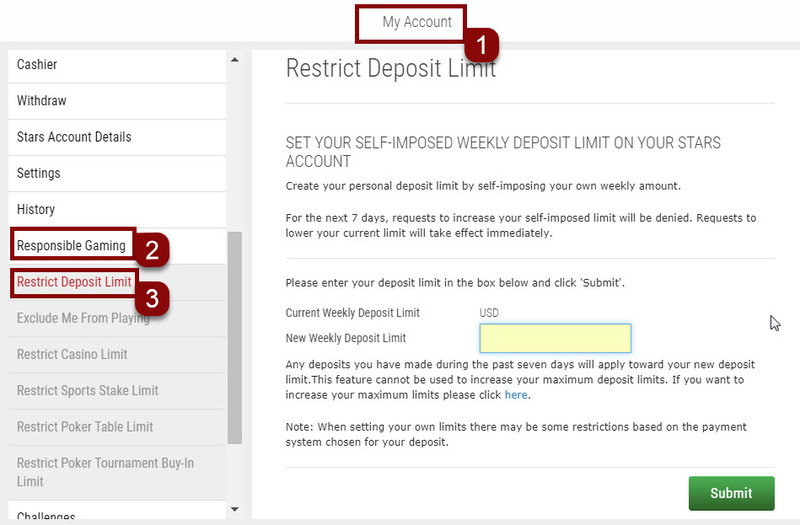 You can set a weekly deposit limit that will be in place for a minimum of 7-days. If we have set deposit limits for you for any particular deposit method, you may only deposit the lesser of your deposit limit and ours. Once that time period has expired, you can raise or remove your limit by accessing the same menu option, then click on Remove Self-Imposed Limit or enter a new limit. 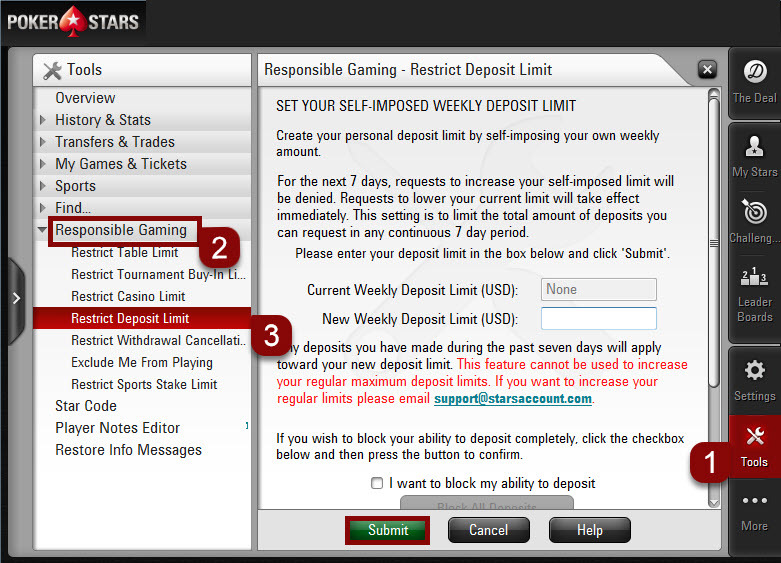 Any requests to self-impose a lower deposit amount will take effect immediately. 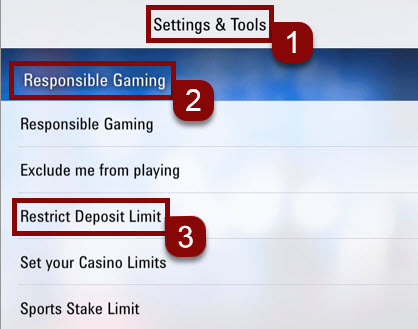 The self-imposed deposit limit also applies to certain payment methods when purchasing play money chips.